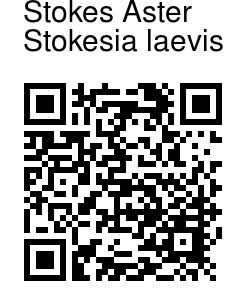 Stokes' aster is an perennial herb with 6-8 in evergreen stalked basal leaves. In late spring several erect stems emerge, which have smaller, stem-clasping leaves and stand about 1-2 ft tall, each bearing 1-4 shaggy cornflower-like flower-heads 3-4 in across. The ray florets are fringed and blue, lavender, pink or white, in two concentric rows, and the disc florets are darker shades of the same colors. Flowering goes on for several weeks. 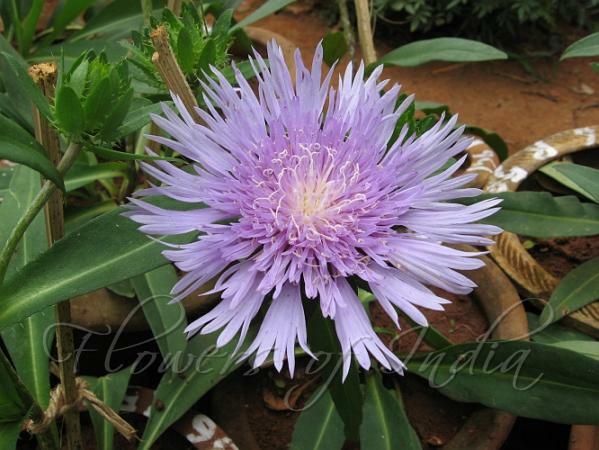 Stokes aster is native to north America, grown as ornamental in India. Photographed in Bangalore and Imphal.